Search Marketers - In The News: SearchMarketers.com - Featured Google Partner For Livestream! SearchMarketers.com - Featured Google Partner For Livestream! SearchMarketers.com is thrilled to have been selected as a Featured Agency for a major Google Partners Event. 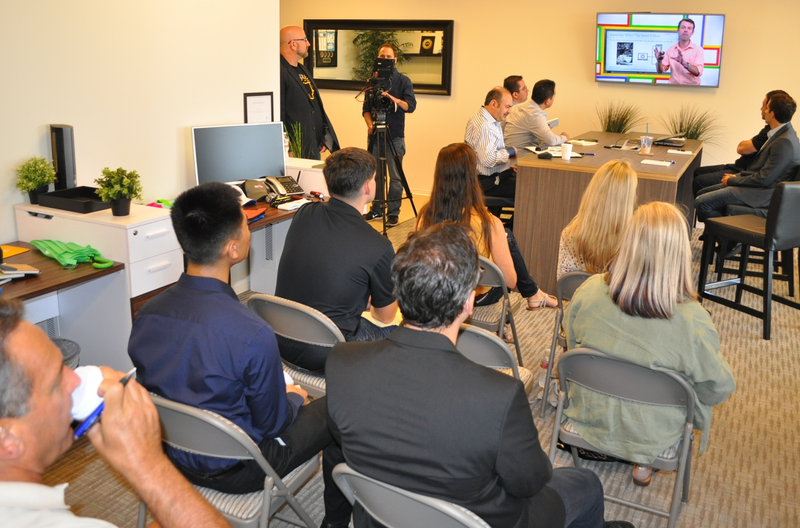 Filming at the SearchMarketers Irvine office started early as Orange County entrepreneurs, marketing executives, and business owners stopped by to collaborate with SearchMarketers and Google executives on-site and through the livestream. We wanted to send a big Thank You to Google for bringing some of the coolest Google souvenirs for guests in attendance during the event. Google Official Video of the event at SearchMarketers.com will be released shortly.